Our Villa Villa is an executive 4 Bedroom/3 Bathroom Home and is beautifully furnished to a very high specification. One of only a few homes in the “Premium Plus” range! Upgrades include wooden flooring throughout downstairs and the staircase, granite worktops in the kitchen and classy wooden window shutters throughout. Our Villa is very spacious & comfortably sleeps 8 people. Our home consists of 4 Bedrooms – One King Size with ensuite two Double Bedrooms (one with ensuite) and one twin room all of which all contain flat Screen TV’s with Cable with over 100 Channels, there is also a further family bathroom. Our home offers a superbly equipped modern kitchen with breakfast bar, large fridge/freezer/ ice maker, oven & hob surrounded with Granite worktops. Our dining area and living room are furnished to an executive standard and include Flat Screen TV, Hi fi & games console/DVD Player with a selection of DVD's. Our home is also equipped with free access to Wi-Fi . 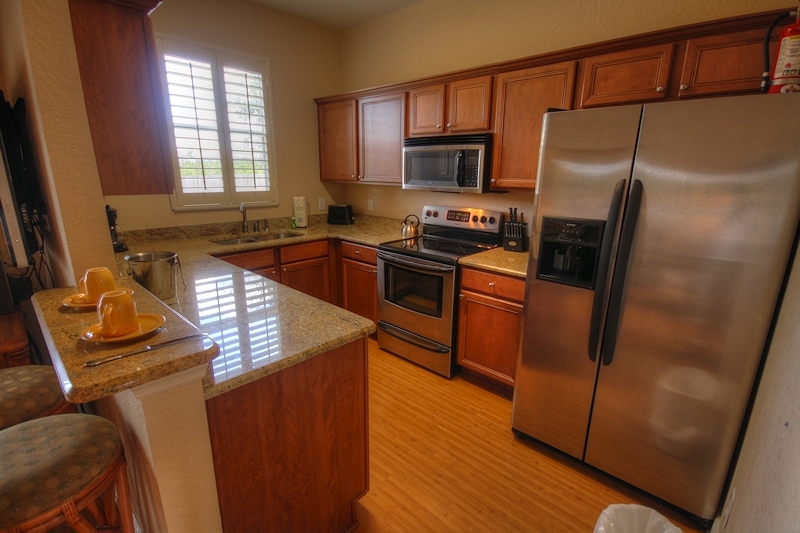 You will also find a Washing Machine/Dryer within our Home. Fully air-conditioned throughout and three free standing fans. For those of you who have babies you will find a high chair, sterilising unit and bottle warmer within our home for your use. Regal Palms offers excellent facilities for the 'down time' between all your 'park hopping' boasting a 2 acre waterpark (opening times 8am-11pm) consisting of two pools, lazy river & waterslide surrounded by sunbeds to relax and top up your tan whilst enjoying a drink from the poolside Tiki bar. The restaurant is open for breakfast, lunch and dinner and those in between snacks! Alternatively you can take a dip in the bubbly hot tub. 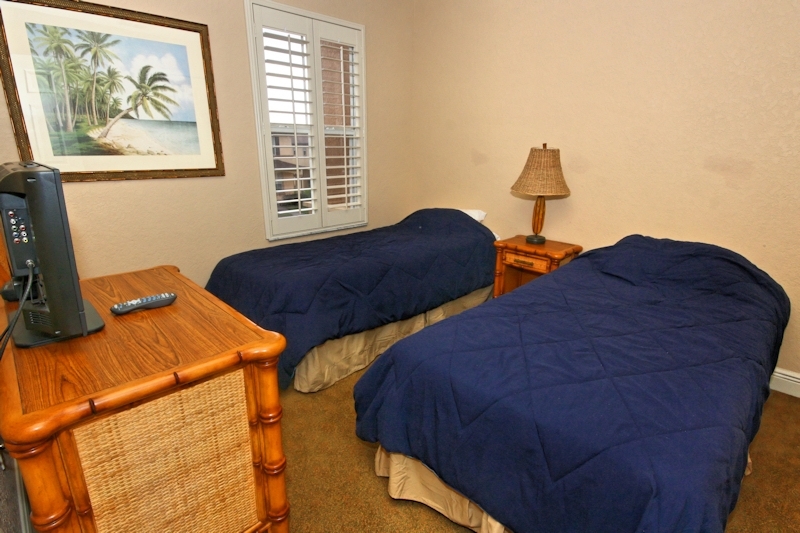 There is also a children's play area, gift shop, games room, internet room & volleyball court. 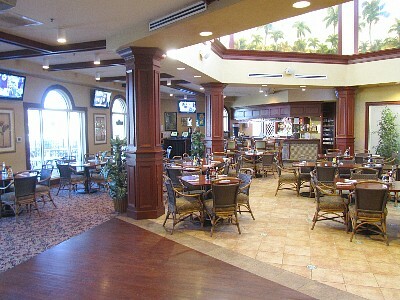 Opening soon at Regal Palms is Banana Jacks great family resturant with a Pirate theme and Indoor Play equipment. 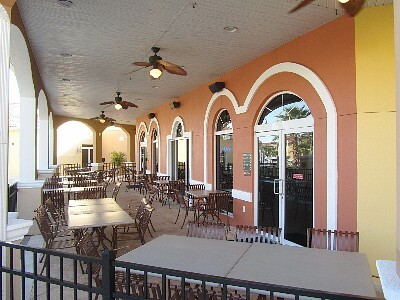 Within a 5 minute walk of Regal Palms you will find the Berry Centre, which offers a variation of shops,Publix Supermarket,chemist and resturants. 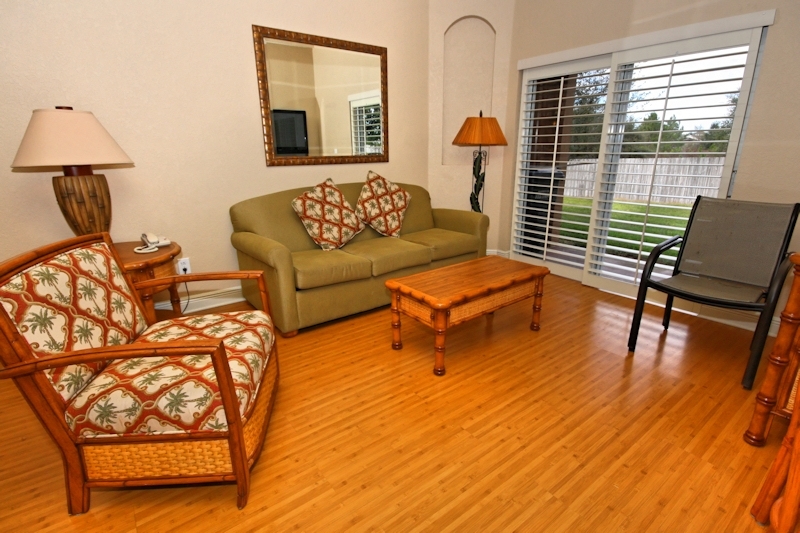 The Highland Reserve Golf Club is also just 5 minutes from the Complex. 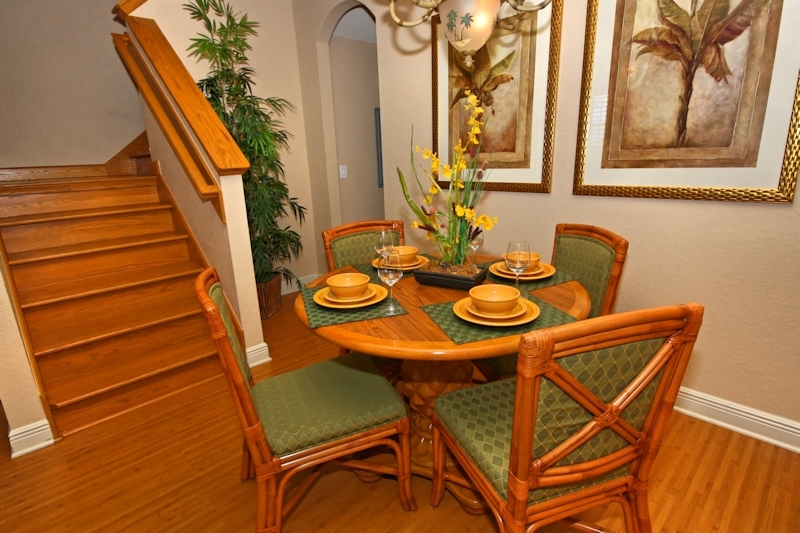 Our Home will be absolutely perfect for your Orlando Holiday! Resort Fees are commonplace throughout the lodging and vacation rental industry. 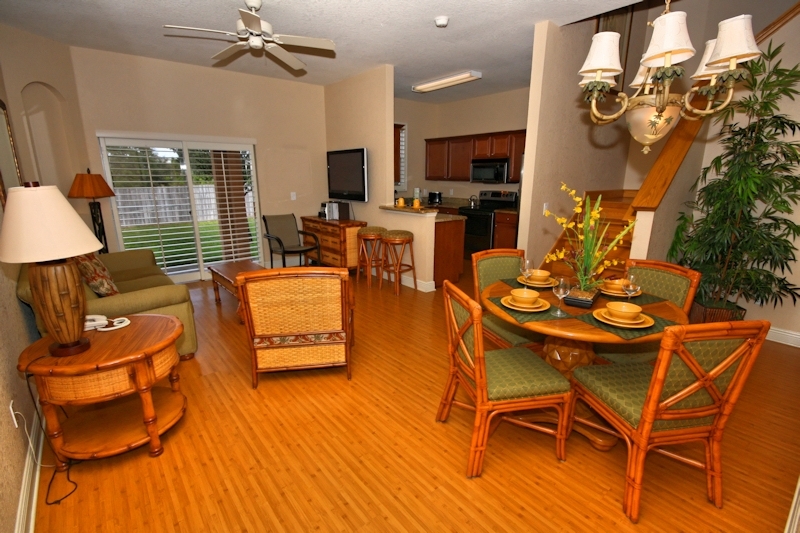 Here at Regal Palms the Daily Resort Amenity Fee of $15 per day plus tax applies to all bookings. Fee includes the following: 24 Hour Check-In, Secured Resort Access, Parking, Local and Domestic Long Distance Phone Calls (including Puerto Rico and Canada), Use of Indoor Playground at Banana Jack's, 25 Game Tokens to Banana Jack's, Internet Access in Business Center, Wi-Fi in the Clubhouse area, Health Club (Fitness Center), Children's Playground and Swimming Pavilion along with Pool Towels, Regularly Scheduled Activities, Sand Volleyball Court. My husband and I brought our 3 1/2 year old daughter to Disney for the first time. 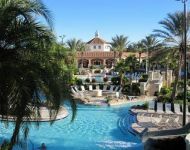 We LOVE this resort! The owners of the condo are very friendly and helpful. The rental was very clean. We loved the pool. All of the onsite staff were friendly and helpful. It was only a 10 minute drive to Disney World. I would definitely recommend this rental to all my friends and clients! (most of them I already have) This vacation gave us the BEST memories! We have just finished the longest holiday that we have taken and I must say that we thoroughly enjoyed our home away from home. We booked our condo on line and were lucky to have such a great place to call home for our time in Florida. The condo was a good size and well appointed. There were a couple of small issues when we arrived because they had not been reported by previous occupants, we reported them and everything was addressed promptly and completely to our satisfaction. 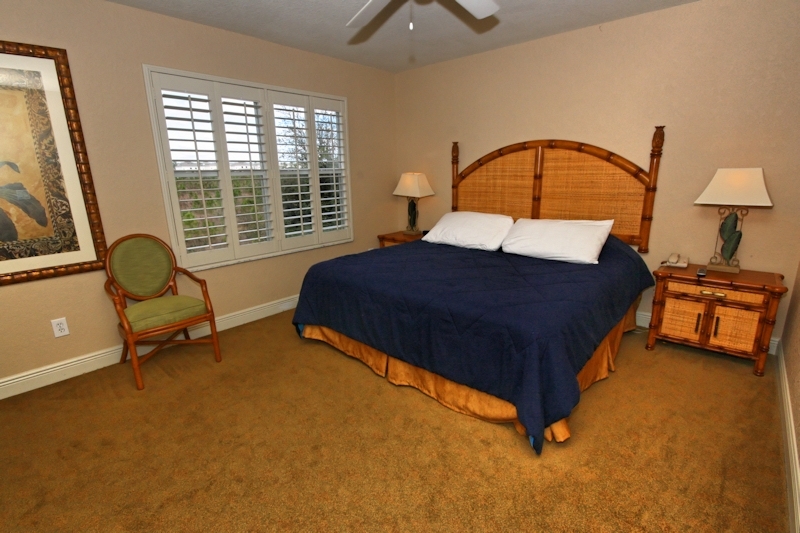 The owners and the management company were fantastic to deal with and their main focus was to make our stay wonderful. 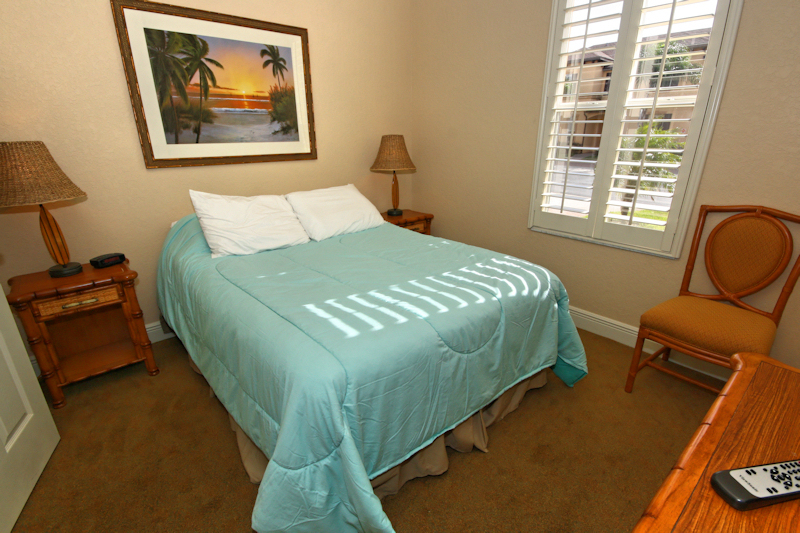 The description of the amenities were accurate and we were able to make use of everything and had a great time. The condo is located away from the pool area and required a car to get to and from but the location of the condo was great because it was quiet and backs onto a field and not other condos. 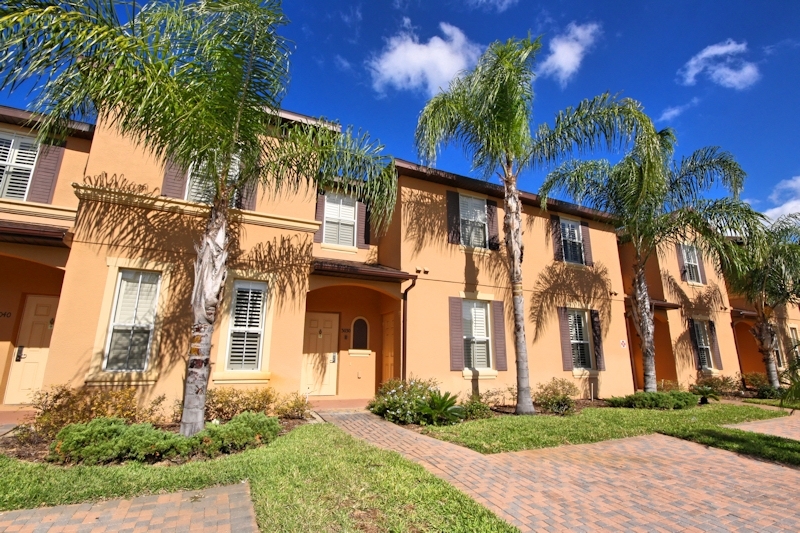 There is shopping close by at Publics to get everything you need to have meals in and good restaurants just outside the property (Applebee's) and within a few miles on Hwy 192, Millers Orlando Ale House. It is located very close to Disney World. Shopping at outlet malls is available in both Kissimmee and SW Orlando. Sea World is the next closest attraction and a bit north you have Universal. Having a comfortable place to return to every night was great and we were able to recharge our batteries for our next outing. I highly recommend this accommodation and will definitely use it again if staying in this area. We had an amazing stay at this villa in January. 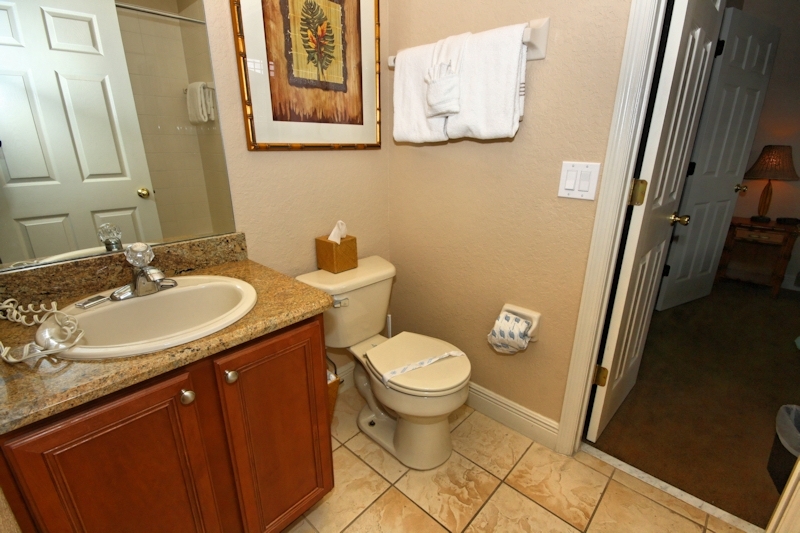 The villa is well located and within about 15 or 20 minutes of Universal Studios, Disney World, Wet and Wild and Sea World! The resort is well looked after, has plenty to do, a fantastic water park and the staff really helpful and friendly. The owners of this villa gave us lots of invaluable information and help with flights, theme park tickets and places to visit. The villa itself is spotlessly clean, well-equipped, air-conditioned and luxurious. It had everything we could possibly need and more - the owners even supply a Sat Nav and a selection of Dvd's and a games console with games for guests to use! We loved the villa - it's spacious, bright and airy and has a lovely master bedroom. We would most definitely recommend staying in this villa to anyone, and already we are planning another trip back to it next year! Stayed here over the Xmas and New Year - wow we were not disappointed! 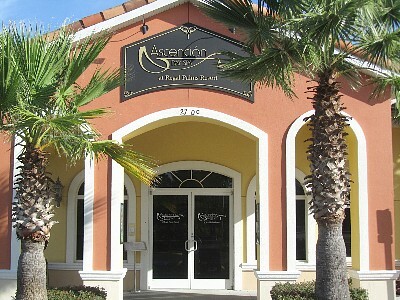 A secure estate with Keycode entry.Perfect location for all Orlando has to offer. A stunning home where those small details that most rentals miss have been taken care of too. It literally is a home from home! Finally, people who care about your holiday as much as you do. Very impressed, dont delay and book today, I guarantee you will not be disappointed! !